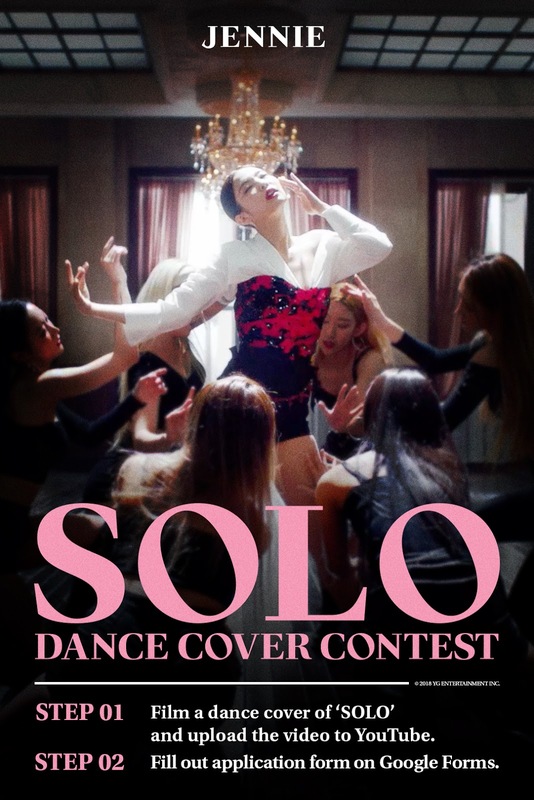 we are holding a 'JENNIE SOLO DANCE COVER CONTEST'. Cover JENNIE’s shining ‘SOLO’ choreography and complete the following two participation method steps below! A total of 3 winning teams will receive 15 million KRW prize pool. : Scheduled to be announced on official BLACKPINK social media accounts. 1) Film a full length dance cover of ‘SOLO' and upload the video to YouTube. 'JENNIE SOLO DANCE COVER CONTEST'를 진행합니다. 제니의 빛이 나는 'SOLO' 안무를 커버하고 아래 2단계 응모방법을 모두 완수해주세요! 총 3팀을 선정해, 총 상금액 1천 5백만 원을 증정합니다. 1) 'SOLO' 완곡의 댄스커버영상을 촬영해 YouTube에 업로드한다.